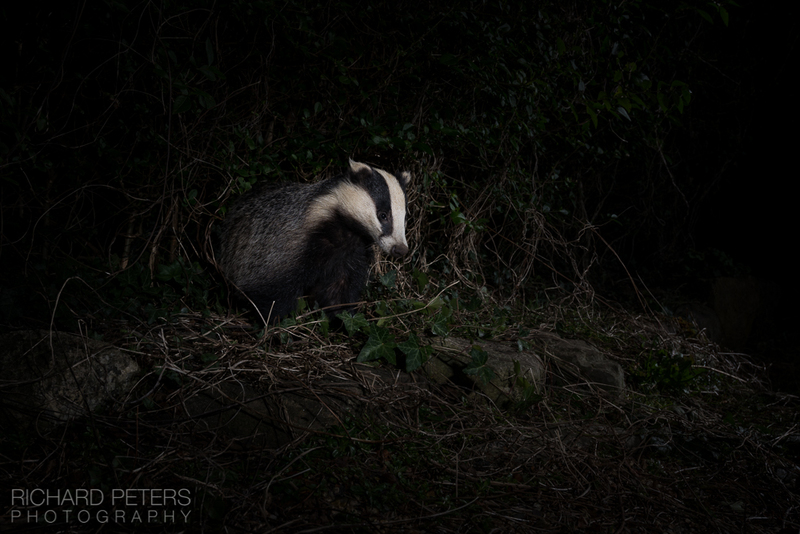 Laurent Geslin is a photographer who works mainly on environmental issues and, like many, his passion for wildlife led him to the work of Stephen Dalton and Michael ‘Nick’ Nichols. After being a naturalist guide in France, South Africa and Namibia, Laurent moved to London where he became a professional photographer himself and from there, he began his project to photograph wildlife in cities. 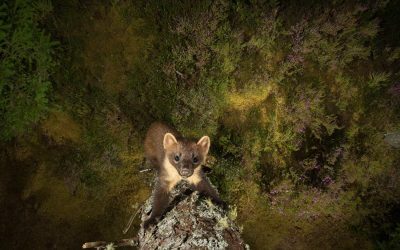 His original work has been published in numerous books, foreign magazines, is regularly exhibited in galleries and museums and has been recognised by competitions such as the 2014 BBC Wildlife Trap Camera Photo of the Year. 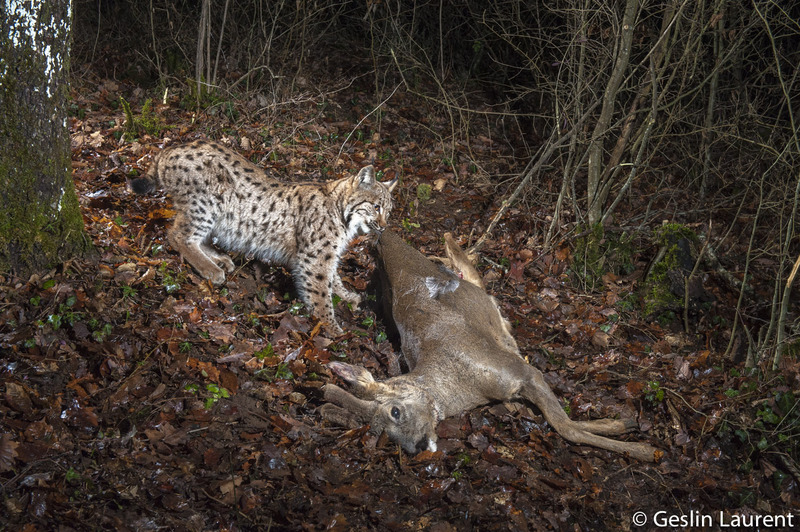 Now, Laurent lives in the Jura mountains of Switzerland and has been working extensively with lynx for the last years. 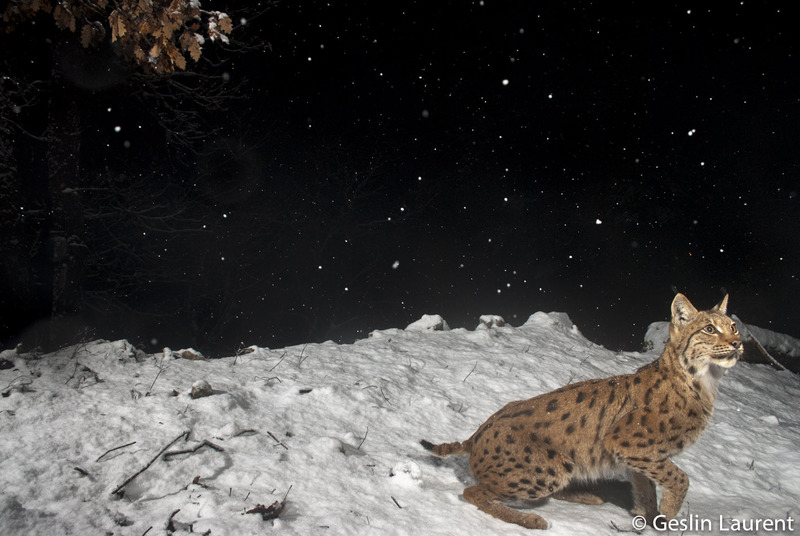 His new book ‘LYNX, regards croisés’ is the result of fours years chasing the elusive cat. 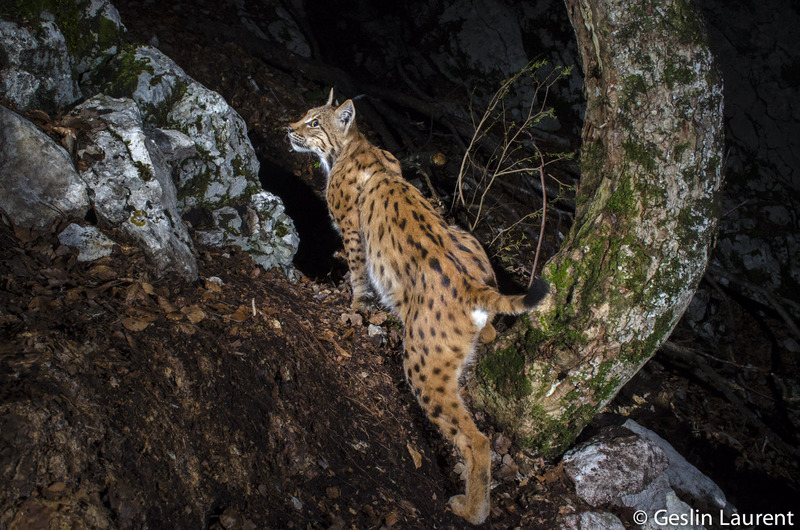 I did not have the choice, when I started my project on European lynx, I knew it is a very elusive cat and hiding would not be enough. Wood mice are a pain. They eat the cables even if I hang them in branches. I use from one to 4 flashes, depending on the setting and the time I have to set up the equipment. 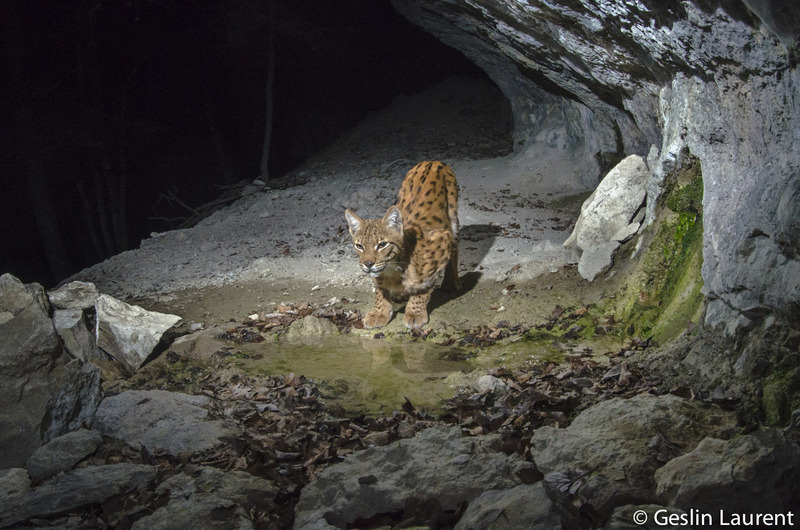 I have just publish my book on European lynx and it took me 4 years to get all the pictures. I don’t think I’ll spend so much time for my next project. I set up a camera near a den after tagging the kittens with the biologists. I wanted a shot with the mother carrying the kittens, but when she came back, she did not come near the den, she called her cubs 5 meters away and the kittens moved towards her… she knew the camera trap was there. You can see more of Laurent’s work, as well as buy his latest book, on his website here.